My Instant Pot has been a lifesaver for the last year that I’ve had it. I love being able to add all of my ingredients to one pot, set it, and walk away–and I love it even more when that magical beep tells me that my dinner is ready! Vegetables are one of my favorite things to steam in the Instant Pot, and whether I’m layering my meal with meat, potatoes, and veggies or just cooking vegetables in my Instant Pot, they’re delicious! Are these steaming times good for all vegetables? Everyone likes their veggies cooked differently–some of us prefer a little crunch left in our broccoli, and others think it’s best when it’s almost mushy. For this reason, you’re going to want to experiment a little until you find your perfect vegetable cooking time. The times I’ve added to the cheat sheet are suggestions based on what has worked for me. You can try them and then add or subtract a minute or change your pressure from high to low to see what works best for you and your family. 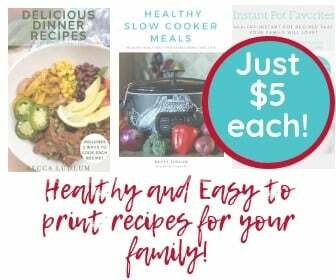 My Instant Pot has been a game changer for us–we have both a 6 and an 8qt for our family of four, and we use it about 3 times a week for easy meals with just a little bit of clean up. Our favorite veggies to cook in the Instant Pot are broccoli and Brussels sprouts! 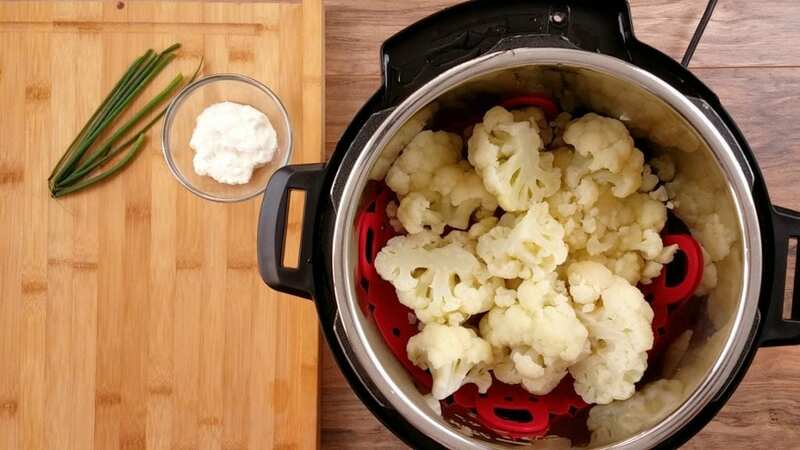 Should you Quick Release or Naturally Release the Pressure for Vegetables in the Instant Pot? It depends on the vegetable! Delicate veggies, like asparagus and peppers should be quick released. Hearty veggies like potatoes and squash should be naturally released for at least a short amount of time–I usually do 5-10 minutes. As I mentioned above, there will be a bit of a learning curve based on your Instant Pot and your preference when it comes to vegetables. I always tend to cook on the low side and know that I can put the top back on and let the veggies sit and steam some more, or even set my times again for a few more minutes. It’s definitely a little bit of trial and error! If you’re looking to print all of the delicious and healthy Instant Pot recipes from My Crazy Good Life, you might be interested in this printable Instant Pot eBook. I bought my first IP a few weeks ago and I’m still “training”. Thank you for such useful suggestions. Happy New Year from Italy! Do you have to use water with these cooking times – or is this just vegetables alone in the IP? Thanks!